Family members often have a profound impact on children’s lives that can have lasting effects. For Philip Brady, this person is his mother. “She has always instilled within me a passion for science and a love of writing, and therefore she has impacted the way I think and the career that I would like to pursue,” Brady said. The Ward Melville High School senior said one of his earlier memories is when his mother, JoAnn, ran his first-grade science fair. That memory led to his interest in reading scientific journals, such as Nature and Science. Brady, 17, said he hopes attending the Robert W. Greene Summer Institute for High School Journalism will help him decide whether to combine his two passions and become a science journalist, or to pursue biology. “I am hoping that after completing this journalism program, I will find out whether journalism is my career path,” Brady said. Although this is the first journalism course he has attended, Brady has experience in science writing. In high school, he helped put together a science blog. In addition to his passion for journalism, Brady is involved in sports and clubs. He plays varsity tennis, is president of the Asian Culture Club and is the Chief of Staff for his school’s Model Congress Club. 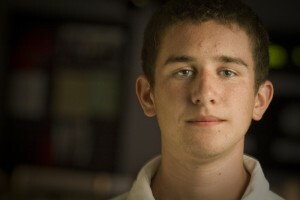 He is also a member of the Math and Science Olympiad teams. Brady loves to build and construct things on his own. A longboarder, he built a custom longboard from scratch earlier this year. He also likes to fish, and enjoys making his own lures. Brady says that he can see himself performing biomedical research and publishing articles in scientific journals in fifteen to twenty years.